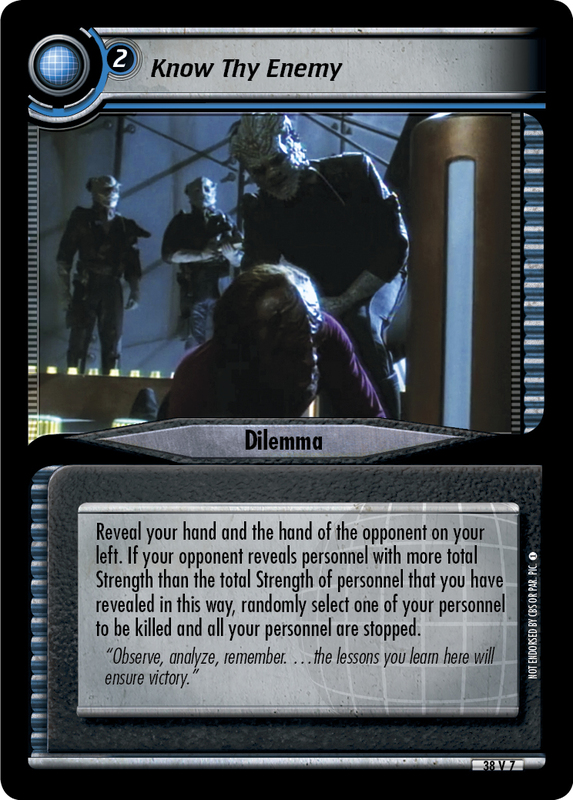 Place this dilemma on this mission (limit one per mission). 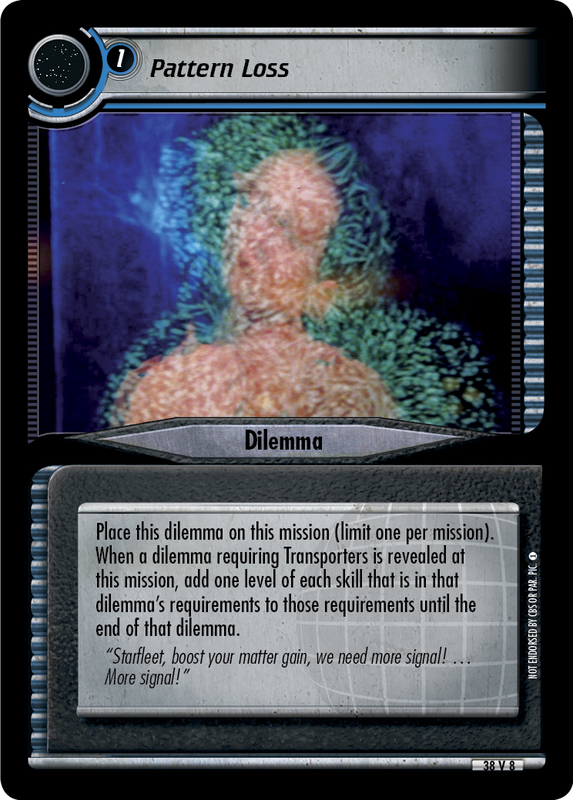 When a dilemma requiring Transporters is revealed at this mission, add one level of each skill that is in that dilemma's requirements to those requirements until the end of that dilemma. 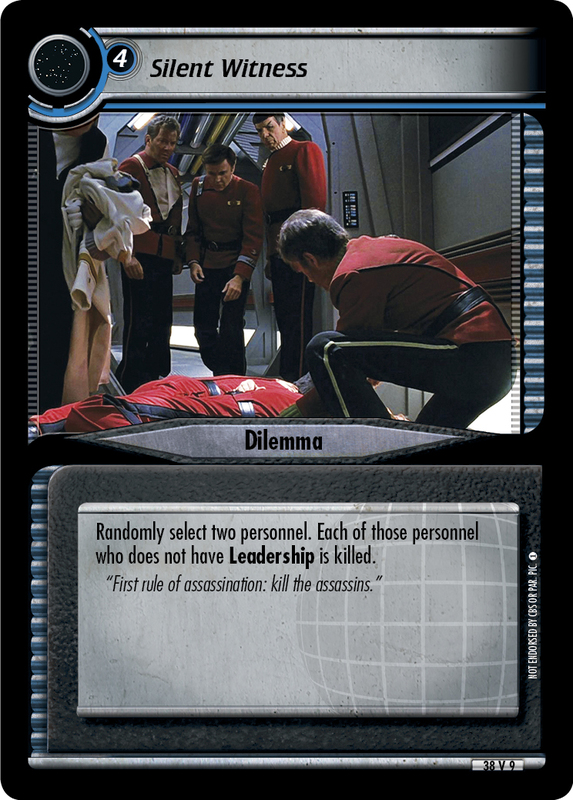 "starfleet, boost your matter gain, we need more signal! ... More signal!"